This fascination came into play when making this year’s Valentine cards. I love being able to remind my friends that they are loved…while using the most amount of pink this girly heart desires. Thanks to Pinterest, I came across an idea for paper feathers and knew I had to so something with it. And thanks to liagriffith.com for the feather template, and a varied supply of scrapbook papers on hand, I was able to put together one of the most satisfying Valentine cards yet. I love my friends, and I’ve loved this project. After cutting out more than a hundred paper feathers, I’m also ready to give the scissors a bit of a break. 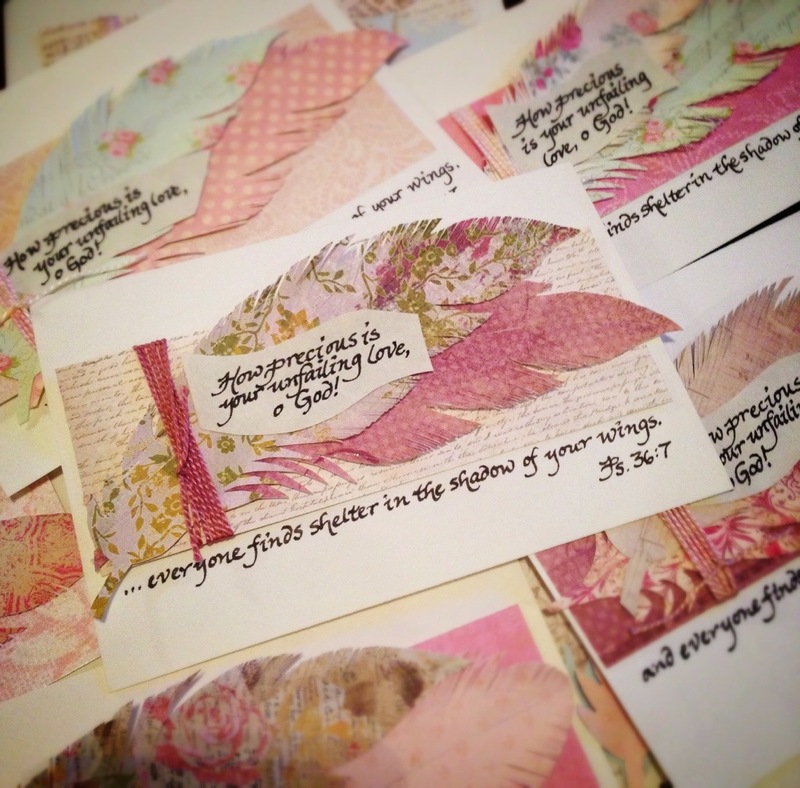 This entry was posted in Uncategorized and tagged Lia Griffith, paper feathers, Valentines by meljosweet. Bookmark the permalink.